In honour of Canada Day, today, July 1st, which marks 149 years since Confederation, I am re-posting this post from March, 2014. 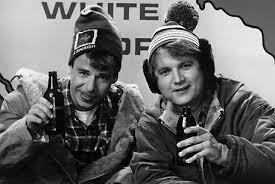 Happy Canada Day, eh?! By now, anyone who has been following my posts will have noted my insistence upon using the Queen’s English, which is what I learned growing up in Southern Ontario, Toronto, to be specific. You know what I mean, our habit of spelling labor as “labour” and center as “centre”. However, contrary to popular belief, we don’t pronounce “out and about” as “oot and aboot”, despite what some Americans will tell you. It’s just envy and if you practice long and hard, you too can learn to say “oot and aboot”, although I don’t know why you would want to. Also, contrary to popular belief, not all Canadians love hockey (I have always been totally disinterested), we aren’t all polite (I know some very rude Canadians) and we don’t end every sentence with “eh” (when we know there are tourists around, we make an effort to humour them, though). Winter is NOT all year round and most of us don’t live in igloos. It took me years of living in Albuquerque to consciously ask where the location of the “restroom” was as I drew blank looks when asking for the “washroom”. It was also traumatic to have to spell my surname “Jimenez” routinely as I had to force myself to remember to say “zee” and not “zed” as I was accustomed to. There is a general misunderstanding about Canadian cuisine. In writing this post, I was surprised and amused to find a number of internet references asking “what do Canadians eat?” or “do Canadians eat beaver and moose?” (not routinely – we prefer Subway sandwiches and Papa John’s Pizza when we’re too tired to cook after mushing home from the office on our dogsled). Canadian cuisine is an eclectic mixture of many cultures and our food reflects this. 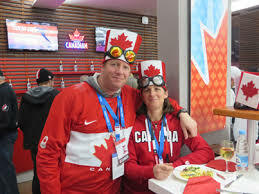 In the 2011 Canadian Census, Canadians identified themselves as “belonging” to the following groups: French, Scottish, Irish, German, Italian, Chinese, North American Indian, Ukrainian, Dutch, Polish, East Indian, Russian, Arabs, Welsh, Filipino, Norwegian, Portuguese, Metis, British, Swedish, Spanish, American, Hungarian, Jewish, and Greek. The list is not inclusive, however. No wonder our food is so diverse and all the better for it ! When I left Toronto (actually Mississauga, which is a city bordering Toronto), in 1994, to move to Albuquerque, I suffered an extreme case of culture shock. Gone were the Tim Horton donut shops (if someone claims to be Canadian, ask them if they like “timbits” and if they don’t have a clue, they’re NOT Canadian). Gone was Swiss Chalet barbequed chicken and Harvey’s freshly grilled hamburgers. Gone were cheese curds and pea meal bacon (you know, “Canadian” bacon). No Nanaimo Bars or Butter Tarts in Albuquerque bakeries. No fresh fiddleheads for the picking in early spring. No going into the local bar (not the Nanaimo Bar) and asking for a “CC and ginger”. 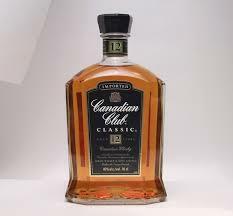 If you don’t know what “CC and ginger” is, you’re most certainly NOT Canadian! 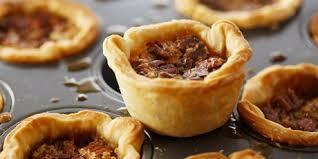 Butter Tarts are a distinctively Canadian treat and you can find them in almost any bakery across Canada. Even the large grocery chains have their own, watered down insipid versions. If you can’t wander into a grocery store or a bakery and find Butter Tarts, well, I don’t think we’re in Canada anymore, eh, Toto? I have many recipes for Butter Tarts in my collection of recipes and cookbooks, but I present one here for your delight, from a true Canadian cookbook: “The Laura Secord Canadian Cook Book”, published in 1966. Let stand 5 minutes and drain. Stir in drained raisins and fill pastry lined muffin cups 2/3 full. Bake for 15 to 20 minutes or until pastry is golden. Do not allow filling to bubble. Eat several and then go and floss, eh? 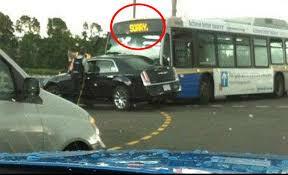 Footnote: “Only in Canada, eh? Pity” was the slogan for the Red Rose Tea company, started in 1894 in Saint John, New Brunswick. 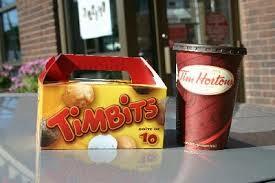 For many years, the tea was available only in Canada. This entry was posted in Comfort Food, Cookbooks, Cooking, Eating, Recipes, Uncategorized, Vintage Cookbooks and tagged Butter Tarts, Canada, Canadian Cookbooks, Canadian Cooking, cookbooks, Cooking, Dave Thomas, Laura Secord, Rick Moranis, SCTV, Sue Jimenez, Tim Horton, time capsules. Bookmark the permalink.